Nails copper use at a roof covering brass plates as they do not form "galvanic couple", thereby there are no oxidation processes. Copper nails are not subject to corrosion, have sufficient flexibility. Thanks to the characteristic, copper nails found the application in shipbuilding, a copper roof and other roofing designs, furniture production and for the decorative purposes. 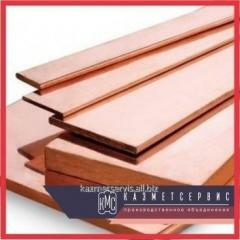 Copper nails of 2х20 Sq.m of GOST 6750-75 available in a warehouse, we carry out delivery across the Republic of Kazakhstan and the CIS countries. The urgent price to you will be prompted by our manager. The KAZMETSERVICE production association is a specialized complex, carrying out development, test, production and product sales from metals and alloys of different function. Services are sharp: laser cutting, is sharp a pendular saw, is sharp a guillotine, oxygen cutting, is sharp on the lentochnopilny machine, hydroabrasive cutting. Production. The made production according to drawings and the required specifications. Delivery. The developed logistic service allows to deliver production across all territory of the Republic of Kazakhstan and the CIS. At the order of small parties – delivery of production to the terminal of transport companies free of charge. 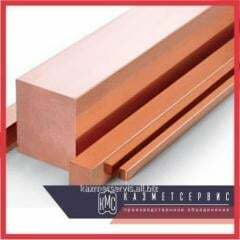 Copper nails of 2х20 Sq.m of GOST 6750-75 to you will be prompted by our manager. This price list has exclusively information character and under no circumstances is not the public offer determined by provisions of Art. 447 of the Civil code of the Republic of Kazakhstan. 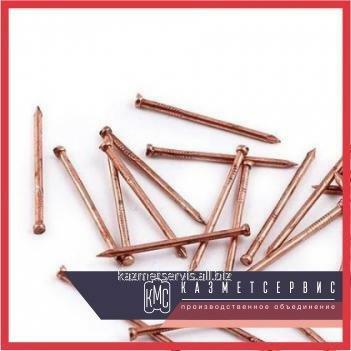 Unbelievable price on Copper nails of 2х20 Sq.m of GOST 6750-75 in Almaty (Kazakhstan) company PO KazMetServis, TOO.